I’m not sure I want some of these features, but I guess if someone has an accident in the vehicle and is unconscious it would be comforting to know that help would be on the way without any further interaction from the occupants of the car. The tyre, battery and servicing abilities are a nice touch but some of the remaining options could be quite entertaining, if I was to gain access to a person’s account I could turn up the heating in summer as high as it goes or turn the air conditioning up so that it is like driving in a snow storm but these are just some silly pranks you could pay on an unsuspecting own (or my wife in my case). What about the remote engine start and remote unlocking of the car? The only real reason that you would want a to remotely start a car is to turn on the air conditioning to cool a hot car down before you got back to it if it is a hot summers day. I personally feel that you could probably survive without that ability as the risks are higher than the convenience. Say a criminal wants to steal your car and they get access to the app on your phone or a cloud-hosted application they can unlock and start your vehicle without any damage to the vehicle or making anyone think the wiser about them just opening the vehicle and driving off. The vehicle was stolen from the driveway in under a minute with two devices, a repeater and transmitter. This meant they just went up close to the house and used the repeater to send the signal from the keys inside the owner’s home and then was transmitted to the vehicle with the transmitter to get it to unlock, then start before being driven away. It is scary fast in which this crime was carried out but yes you could have done a couple things in the above instance to protect yourself like parking your expensive new vehicle in a garage (I know that may seem ludicrous to some but could do wonders to prevent this) and store your keys away from the front door like many people do on a hook or in a bowl, just store them further into the house to help prevent them from picking up the signal to repeat it. Yes, simple but effective methods to reduce your risks of your vehicle being stolen. Now some of you are probably thinking what does this have to do with the title and autonomous cars? I was setting the scene for what is to come. Let's look at a Tesla vehicle one the most talked about semi-autonomous vehicles, it can basically drive itself in what it calls Autopilot mode. 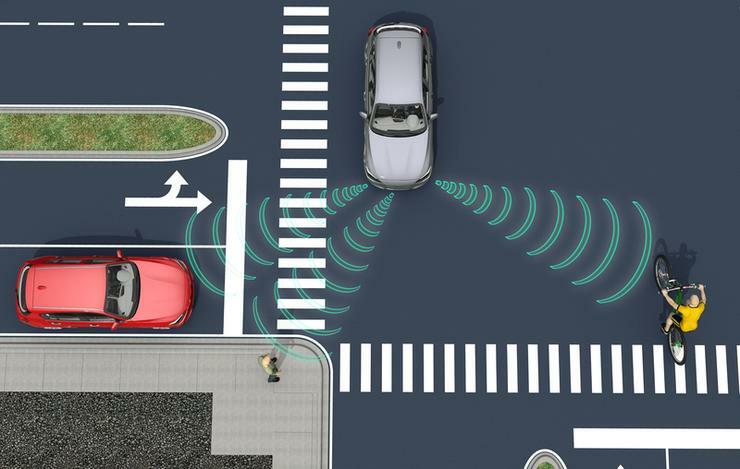 Its vehicles can drive almost completely unassisted by the driver (they say that drivers need to be still paying attention and be ready to take back control but we all know from several incidents that's not always the case). These types of vehicles are starting to be more common on our roads no matter which country you live in and will as we all know start to get better over time before we get to the fully autonomous mode in which a driver or steering wheel is no longer even something that is needed (I personally would still like the ability to take back control but it is only a matter of time when that will not be an option as the machines become better than us humble humans) they will just pick us up and drop us off with a family being able to utilise one vehicle that can be summoned after taking someone to work then sent to pick up a child form school or so on, you get the picture. All of this sounds great right, fewer vehicles required for a family, less crashes meaning, fewer lives lost (we won't talk about the problems of how a machine should decide on who should die if an accident is inevitable and loss of life is something that will occur no matter the decision – that is definitely a story for another time). Let's just look at the connected requirements a car like this will need, a fast 5G connection (being rolled out in Australia now) or the next generation of wireless connection and what amount of data will be processed in this type of car every minute. The feature I talked about above with a car being summoned remotely to pick you up will certainly make stealing a vehicle allot easier (just ask it to come to you), thieves will certainly be able to catch on their favourite new show on Netflix why they wait for the new car to arrive. Some cars can already be remotely driven with the apps on our phones or remotely parked but what happens when a malicious actors or cybercriminal or let's get a bit darker and say, terrorists, if they gain control of these vehicles and drive them into crowds or load them full of explosives then drive them into public spaces that would be horrible but certainly possible. Hackers and security researchers are already testing and trying to break these systems to ensure that they are as safe as we can make them, but malicious actors will find a way in as no systems are 100% secure (if you think so then you are truly dreaming). Remote assassination (drive a car off a bridge, cliff or into a wall at top speed) or abductions could be completed without even stepping foot into a country in which a target is located. This is a threat we have no idea of how far it could go and how to even start to protect ourselves from, but we will need to, or our bright future could get gloomy pretty quickly. I feel we could also have a talk about our connected homes and how that will go in the future, but I will leave that for another article. So yes, as some really gifted hacker on our side are anticipating getting their hands on these exciting new toys, we need to ensure that we as a society know the risks and go into this with eyes open, not all of these new-found functions will have all positive sides to them. As always you don’t need to agree with me on this and I am happy for you to leave some comments so we can have a constructive conversation that can help us all understand this topic and if we are lucky will make the future autonomous vehicles safer (you never know, one of the readers of this article could invent the system that will control these vehicles or protect them). Till my next article.